Tim Hortons has a Roll Up The Rim contest on their social media accounts! There are 36 entry periods to win! That means 36 prizes of $100 Tim Hortons Tim Cards! Please note, this contest is on their social media accounts on Twitter and Instagram. 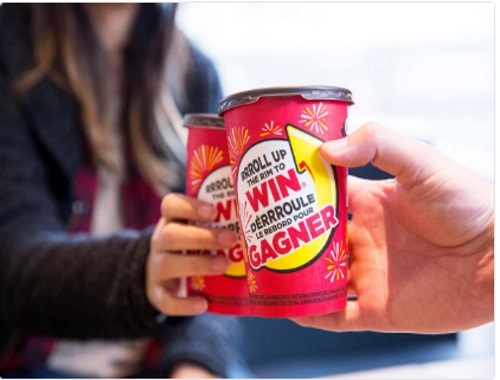 To enter reply to the Tim Hortons post daily (Monday to Friday) contest question on Twitter with an original tweet using #RollUpTheRim or #DerouleLeRebord and @TimHortons together. underneath the contest post using #RollUpTheRim or #DerouleLeRebord and @TimHortons. Contest closes March 14, 2017. Click here to enter the contest on Twitter. Click here to enter the contest on Instagram.